Want to be Director or VP of Sales? Aim for a January Promotion! It marks the end of December, and if you’re waiting for that promotion, then you’ll likely need to wait until January. A few months ago, we discussed how social selling leaders are getting promoted more quickly than social selling laggards. 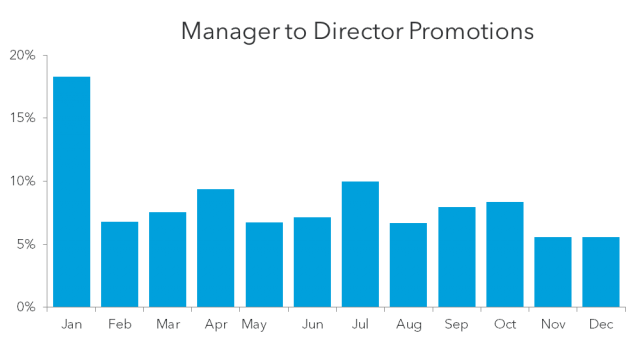 We then refreshed the analysis and looked at what time of month people were getting promoted. 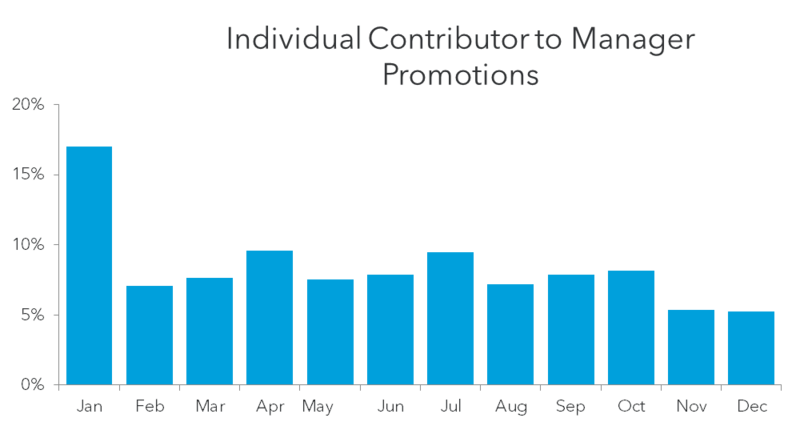 Our data showed that most promotions tend to happen in January, followed by April. 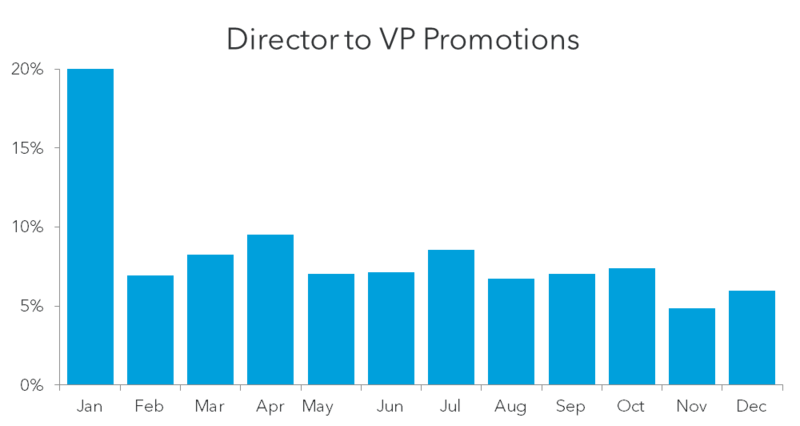 The pattern of promotions across the year follows a distinctive pattern. Unsurprisingly, we find that promotions are more common in the first month of a quarter (January, April, July, or October) than the other months in that quarter. If you’re thinking about that sales promotion, make sure to set yourself up for success in the beginning of the year so come January, you’ll be top of mind. 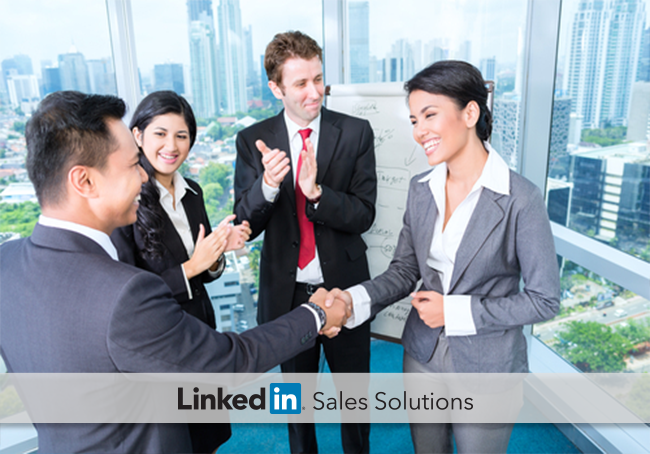 Remember, sales professionals who use LinkedIn for sales get promoted more quickly, so make sure you’re setting yourself up for success with social selling. 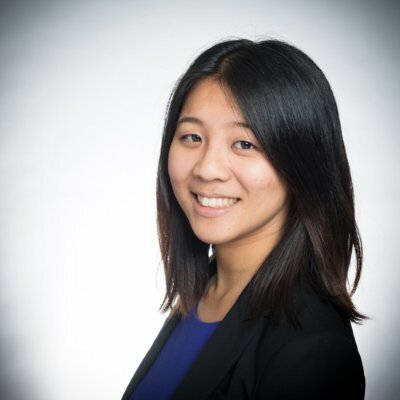 We started with LinkedIn’s total user base of over 300 million members and identified a pool of users in sales or client-facing roles using their job titles and headlines.. Next, we found people who were promoted from Director to VP, from Manager to Director, from Individual contributor to Manager within a company from January 2013 to December 2014. To avoid complications with titles between companies, we limited the pool to people whose promotion was within a company (i.e. someone who left company A as Director to go to company B as VP was excluded). We then looked at the month each promotion took place and produced the graphs you see above. There weren't significant deviations between 2013 and 2014, so the graphs represent promotions that occurred in both years.